As noted on the front, Kevin Conroy and Mark Hamill just can't seem to completely leave behind voicing Batman and Joker. It'll be interesting to see how they do Justice League in the 15-minute episode format. I do like their casting James Woods to voice Lex Luthor. There may be some diehards who carry a torch for Brave & the Bold, but the last thing we need is "Justice League GO!" Brave and The Bold was pure awesome, and not as campy as non-watchers suspected. 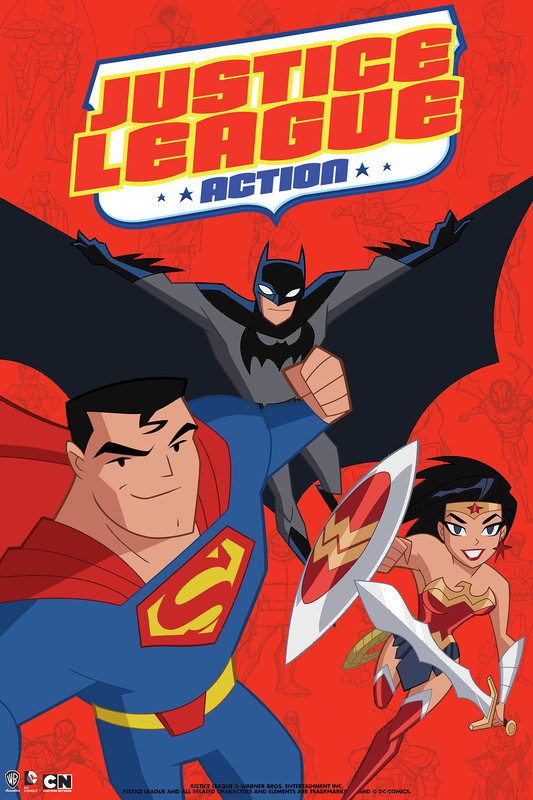 I was excited about a modern JLA series, but between the 15-minute stories and kiddie designs, my enthusiasm has waned. Still, I'll be happy to check it out. Randall wrote: I was excited about a modern JLA series, but between the 15-minute stories and kiddie designs, my enthusiasm has waned. Still, I'll be happy to check it out. And y'know, I wouldn't have minded their "Challenge of the Superfriends, twenty years later" canon they developed for JLA: Trapped in Time (yes, too much humor, but at least they bring the DCA action), but looks like that pilot didn't sell.